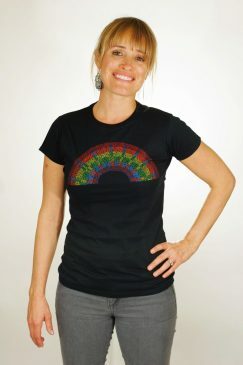 Our Pride Equality Rainbow design is made out of tiny, positive affirmations. The word EQUALITY is written in reverse rainbow colors. We are all the same. We have all been all of these affirmations before and we can all be them again.